Following on from the stream of their brand new single Stuck In My Teeth last month Circa Waves return with an official video to coincide with its release. You can check out the Abbie Stephens (previously worked with Primal Scream and Temples) directed clip above which was filmed in one-take with no subsequent edits or post-production work added. Stuck In My Teeth will be released Monday March 31st 2014 via Virgin Records. You can catch the band at the following dates below as they take to the road on the NME Awards Tour which will see the Liverpool quartet play alongside Interpol, Temples and Royal Blood. 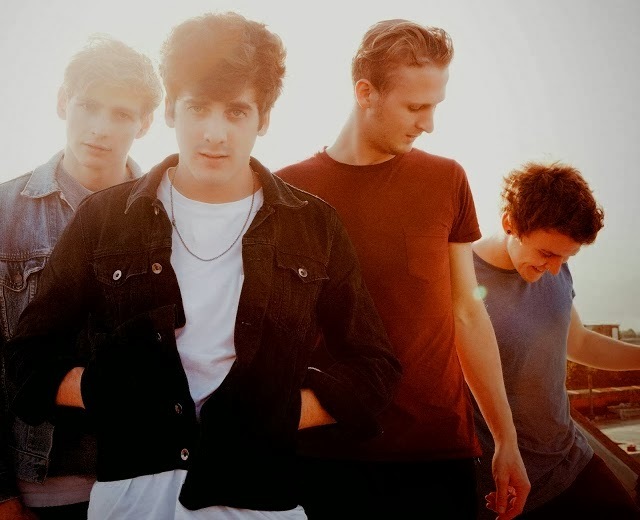 Circa Waves are: Kieran Shudall (guitar / vocals), Joe Falconer (guitar), Sam Rourke (bass) & Sian Plummer (drums).